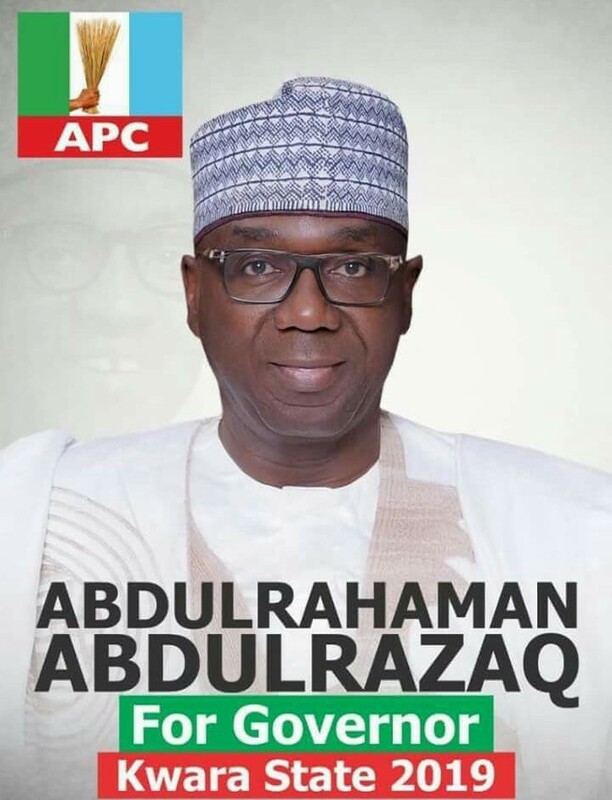 Disquiet is the order of the day in Kwara State chapter of APC as the party moves to anoint a running mate for its governorship candidate, Abdulraham Abdulrasaq. Confirmed sources had it that powerful bloc with the support of a former minister is pushing for a former local government chairman under SDP in 1992. The former chairman later contested under AD in 1998 but lost. 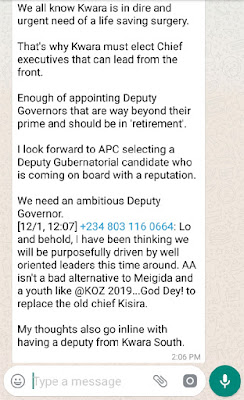 Though he believed to have enjoyed the backing of his leader who has not publicly declared for the APC, some established members are spoilt for war, we can reliably inform you. 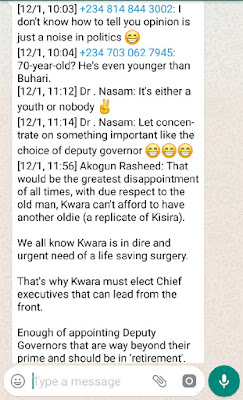 Some online platforms, not Kwara Reporters had reported the possibility of a friend and ally of a younger brother to Abdulraham having the slot. The report had been denied by members of the party in Ilorin last night through various social media outlets. 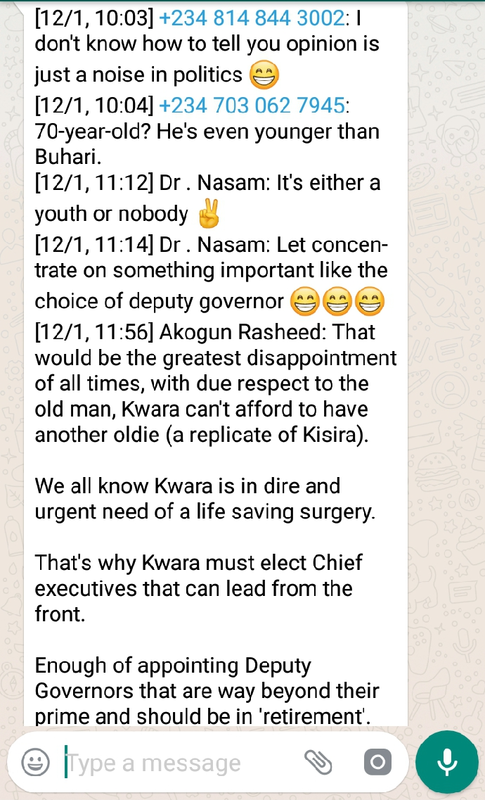 However, aggregate opinion on social media early this morning showed that, the younger generation are poised for war should 'any old man be fielded by APC. It's either a youth or nobody'. Some of the engagements this morning, as monitored by our reporters. We are yet to reach the candidate of APC, Abdulraham Abdulrasaq who has about 80% stake in becomes his running mate. Some members of the APC foundation group who slept at the party secretariat last month for a week are set for a total showdown this time around. "We have been denied everything in a party, we built with sweat and tears yet no tangible post in our hands. 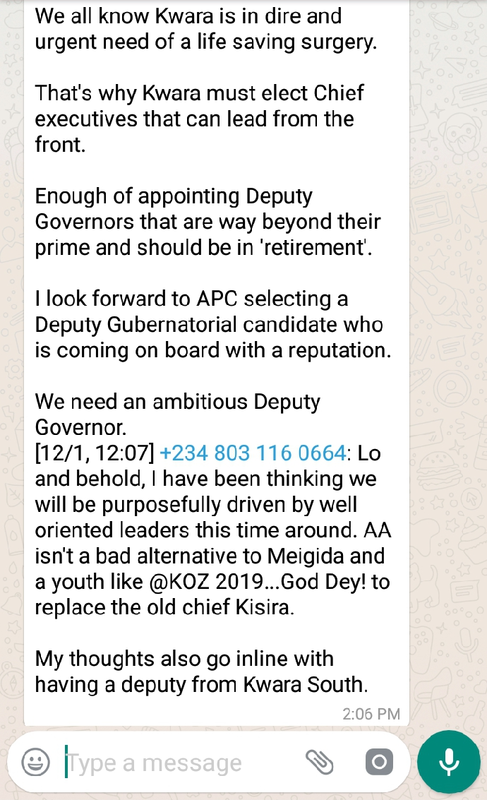 The only available one would have been deputy governor, yet it is ferried to PDP stock again. "Maybe those who will vote for the candidate will be ferried from Abuja let us see. It is total showdown this time around. How many times would we be cheated? What is the difference between them and Saraki? " Our source screamed. Further investigation revealed that the former minister and his group are not only seeking for control of the next government but a total take over. The former minister has retired from politics is fighting his way into relevance through members of the SDP/PDP bloc of present day APC.